The Kent Messenger reports on the sentencing of an ex-lecturer who abused hospital staff and assaulted three police officers while in a drunken state. 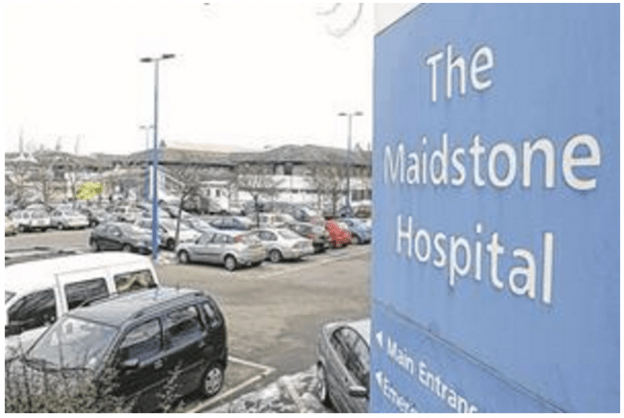 The local paper reports that Alexandra Crouzieres, 35, attended Maidstone Hospital on 11 July believing she had broken her arm. An X-ray taken at the hospital revealed her arm to be fractured but not broken. When the doctor left the room, Crouzieres followed her down the corridor, grabbed her and spun her around. Security guard, Maurice Dray, witnessed Crouzieres’ actions and intervened but she punched on the nose making it bleed. Nurse Amy Langley also stepped in and was bitten by Crouzieres. The local paper notes that when police attended the scene Crouzieres kicked one of the officers, PC Rachel King, in the hip and stomach. When Crouzieres was placed in the police van, she spat in PC King’s face. As PC Gabriel Chandler assisted colleagues, Crouzieres racially abused him. Crouzieres had to be carried from the police van into the police station while “cursing and struggling” with officers as she was put into a cell. At the station, Crouzieres spat into Sgt James Beautridge’s face and later, after asking for a cup of water, threw it at PC Tony Nolan. At Maidstone Crown Court this week, Crouzieres admitted assault causing actual bodily harm, racially aggravated assault, racially aggravated harassment, three offences of assault by beating and one offence of assault with intent to resist arrest. Judge Jeremy Carey chided Crouzieres for her drunken behaviour saying “It is a very ugly picture and one you should be ashamed of”. Judge Carey reduced the length of sentence that would otherwise be imposed stating Crouzieres had been in custody on recall for previous offences and a breach of licence. Crouzieres was sentenced to 18 months in jail, ordered to pay court charges of £900 and a victim surcharge of £100. She will serve half the sentence and be on licence for a further three months.